I just want to try this. I have read so many reviews claiming its amazing and it looks beautiful. I am a sucker for lip products. This is my ultimate holy grail foundation. I adore it but I currently cannot justify it as if you have seen my recent Foundation Shade Guide I have way too many to use up. It gives you the most beautiful flawless finish and feels weightless on the skin. I have used two bottles of this already but have not had it for a couple of months. Recently smelt it in Boots and fell in love again. I am off on holidays next week and this might be a duty free purchase. Im being greedy wanting this watch as I already have a white Michael Kors watch but I would like this one to change up my accessories. It is my birthday this month and I am hoping for this necklace. I originally seen it on Laura's blog Buy Now Blog Later and fell in love with it. It is a elegant piece that you could wear on a daily basis and have it for years. I have no go-to little black dress and I feel every girl should have one in their wardrobe. I am in the market for one for my graduation in November. I was browsing the net last night and seen that Asos have some gorgeous dresses. The one in the picture is from Jane Norman. I really want these but don't know how much wear I would actually get out of them. I think they would be so cute with a pair of skinnies for casual days. Basically I have seen these all over You Tube and want to see what all the fuss is about. They can be dressed up or down which is handy. J Crew are currently offering free international shipping so I am very tempted. Have any of you guys tried them? Are they worth the money and how did you find the sizing? It doesn't matter what brand I would just like some coral or pink skinnies for the summer months. Recently I have thrown out my Ugg boots. I had loved them to death and they had seen better days. They are so handy for college in the winter months so I would love another pair. I don't think I need to explain myself here. I need this bag in my life! THe MK rose gold watch is on my "wish list" as well! Now I just have to convince my husband to buy me one! Love them too! Your newest follower via blog hop. Would love for you to follow back!? I love everything but the Uggs. Just never been a fan, maybe because my foot size is large and I don't want it to look larger? Just adore the rose gold watch. I always loved copper so this rose gold jewelry is so beautiful to me. I really want to try the Korres lip butter too! Hey there, found your blog through the BBU Blog Hop. I love that watch. I have one from Michael Kors that has a white face, but the shiny rose gold is rubbing off on the underside (around the closure). So sad, but it doesn't stop me from wanting a new one, lol. And I hear so many raves about the Chanel foundation, I have a feeling I'll eventually cave and try it out... it's just so. darn. expensive! Lovely to "meet" you - looking forward to reading your posts! HI! 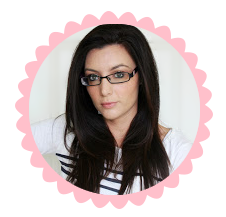 Just found your blog via bbloggersunite. what a great way to find new blogs!! Great wish list... I also NEED those ugg boots in my life....!!! I love my UGGS for college, too! Except they have seen better days...lol. Found you via Blog Hop!! LOVE the Michael Kors watch. I already have one, but why not get another?!?! I've had my eye on the rose gold for a while now! So gorgeous! Would love for you to check out my blog, Mommy in Heels! Looking forward to following you!